Antal Sólyom, M.D., Ph.D. (Fellowship 1977), was 14 years old when he slipped into a hepatic coma. Earlier that day, his family had noticed a sudden change in his disposition. He was belligerent and stubborn. His uncle, not knowing what else to do, slapped him. “It didn’t help,” says Sólyom. Sólyom was rushed to the First Department of Pediatrics at the Medical University of Budapest (now Semmelweis), where he was diagnosed with hepatitis infectiosa. 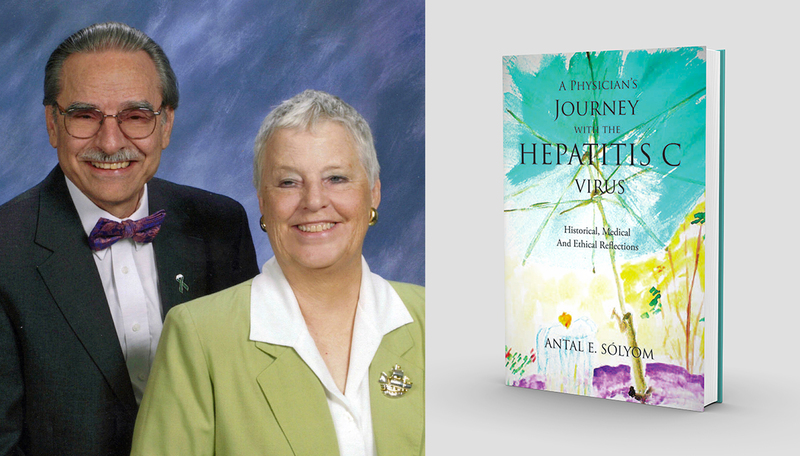 “There was only a 50 percent chance of survival,” Sólyom writes in his book, A Physician’s Journey with the Hepatitis C Virus: Historical, Medical and Ethical Reflections. But he recovered. The incident motivated Sólyom to become a liver pathologist. In 1958, at the Hungarian Oncology Congress, he presented groundbreaking research revealing that cirrhosis caused by viral hepatitis is a precancerous condition. Today, that information guides diagnostic testing for cirrhosis. Sólyom developed cirrhosis in 1977 and tested positive for hepatitis C a decade later. His liver was damaged beyond repair and, in 1990, he underwent a liver transplant. But the hepatitis persisted. Finally, in 2014, he was administered a new round of antivirals. Within weeks, the regimen killed the virus. He was cured.